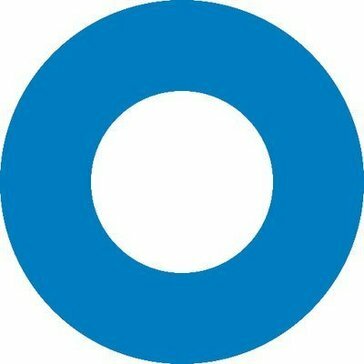 Work for Okta Adaptive Multi-Factor Authentication? Learning about Okta Adaptive Multi-Factor Authentication? "It is best tool to have as Multi-Factor Authentication." Okta as a Multi-Factor Authentication creates a additional layer of security to your login id. It has best way to authenticate you through your hand held device. You could provide random generated code through app or could sign in with single touch by sending push to your registered device. You could remove and re-register new device in simple way by following some of steps. I found in app that random generated codes are not online generated code, if your device is not connected with internet then also your generated no will authenticate you and allow to log-in. I would recommend to use this tool as MFA to keep secure sign-in within organization. We are using Okta as our Multi-Factor Authentication to keep our sign-in secure. It allow us to keep safe our id from phishing. "No More Hidden Sticky Notes"
Okta Adaptive Multi-Factor Authentication has been a life-saver here at work. Our entire company uses this in order to keep all the accounts on our all different services secure. It's incredibly easy to use and works smoothly, which is imperative when trying to access accounts and programs quickly and efficiently. One of my only issues with this product is that it will alert users to new services/accounts that have been added to a user's Okta page, and will help users go through the entire sign up process, when a user hasn't even been officially approved or added to that particular service. Very frustrating, especially for new hires who don't really understand what's happening. I can't recommend this product enough! It makes the onboarding process for new hires so smooth and efficient, and it honestly just makes everyday life at work easier since there is no need to remember the millions of passwords everyone has for all the services we use. Okta Adaptive Multi-Factor Authentication ensures that no one in the company needs to keep a stash of sticky notes with passwords anymore! And we no longer have to worry so much about security, stolen passwords, etc. Okta has really streamlined our onboarding process, which has been incredibly valuable. "New to me but I love it! " It makes logging in to my most often used site and such so easy. Cuts my time in half, especially during the times that I have someone waiting for me to look into things for them. Nothing comes to mind, the only thing that is a little annoying is the systems like our credit and background system the login info saves but it doesn't log you in. I think it's for security reasons but just a little annoying. Cuts my time in half, especially during the times that I have someone waiting for me to look into things for them. "Nice for security and signing in"
I like that all the most common apps I use are in one place. I'm able to easily sign into apps with a couple clicks without using passwords every time. It does this while still maintaining security and multi-factor authentication every 14 days. Once in a while there's an issue with an app and getting logged in, but that rarely happens. I don't know of many large competitors, but Okta has been really good for us as we scaled from a small tech startup to a mid-size (500+) company. We needed to "grow up" as a company, and Okta allowed us to easily and quickly scale the security of our systems. It also allowed us to swiftly remove access to terminated employees, which protects us further. It satisfies internal customers by providing a quick, centralized sign-in, while satisfying our IT department's desire for security with the sign-in process to many important company apps. "I resisted at first but now I LOVE OKTA!" It saves all of my logins securely and even updates when I need to change my password. It makes clocking in/getting set up in the morning SO easy. Same with throughout the day. If I have a phone call it cuts a bunch of steps out of logging into/opening windows and such. Nothing comes to mind. I really find it useful. "Effective SSO made even more secure!" I love having a SSO service for all of the different technologies used on a daily basis in my role. Okta Adaptive Multi-Factor Authentication makes it all the more secure! I really do not dislike anything. The rollout was tricky for existing users, as we have different workplace locations. Otherwise, it has been extremely effective. We have solved for the constant "I forgot my password" concerns. Having Okta has made it easy for even the least technologically-inclined people to access all of their accounts with no trouble. I like that the multi factor authorization is very fast and easy to use. When you authorize from another device it is almost immediately detected. There’s not much I dislike about okta. Maybe their logo. Okta AMFA provides us with a higher security level with minimal added effort. Easy login for multiple sites used such as clocking in, email, patient portal, etc all in one place. It also automatically logs you in once you've set it up. If the site is down you have to remember all of your login ID's and passwords to access them individually. It improves the efficiency of staff, from front desk receptionists needing to look up different health insurances to check for authorization to physical therapists needing to create home exercise programs while the patient waits. "easy way to get in"
How quickly I am able to log in thru my device that I use to log on to my work applications. Unless you are on a work station in your office, be prepared to have to go thru authentication even know your own device that it uses to authenticate you. "Easy to sign in and secure"
I like that it's an easy multi factor authentication to use where I can have a notification on my phone that pops up quickly. It's hard to get back in if you lose your phone or something similar. It has been easy to use on both desktops and mobile devices. I work in software so it's important that I have security while also having ease of access to many different accounts. I love the fact that it is all on my phone. No more key fob and trying to enter in the code before it changes again. Or worse, you lose the rather expensive fob! "New To The Software But No Issues So Far"
The MF Authentication provides an extra layer of security that the company thinks it needs. It’s sometimes a hassle to go through so much security, but I understand. Cyber-Security and prevention of bots accessing information. "Allows for easy single sign on"
Allows you to use the same credentials across all platforms resulting in easy access to all work related sites. * We monitor all Okta Adaptive Multi-Factor Authentication reviews to prevent fraudulent reviews and keep review quality high. We do not post reviews by company employees or direct competitors. Validated reviews require the user to submit a screenshot of the product containing their user ID, in order to verify a user is an actual user of the product. Hi there! Are you looking to implement a solution like Okta Adaptive Multi-Factor Authentication?